Edraw offers you a number of ready-made PowerPoint pie chart templates which you can reuse free. 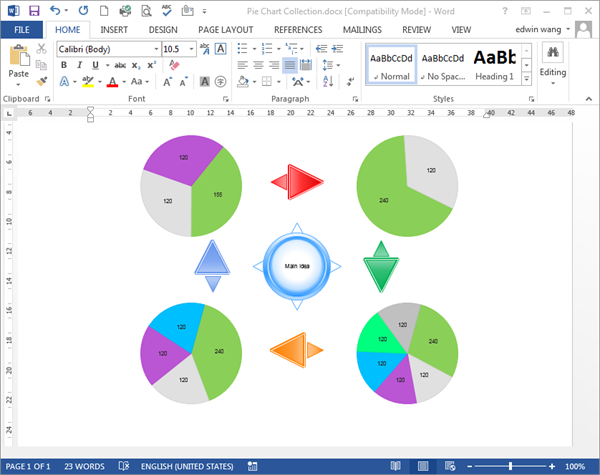 Edraw is an easy to use pie chart software coming with ready-made pie chart templates that make it easy for anyone to create beautiful and professional-looking pie chart for MS PowerPoint. It's easy for anyone to create beautiful looking pie chart in minutes. If you want to use a ready-made template, go to pie chart gallery and click on the pie chart template that best suits you. All templates in the software gallery windows can freely be changed in color, theme and effect. Select a free pie chart template from the thousands of examples available in the Edraw Library and convert to PowerPoint pie chart template with one click. Edraw pre-designed pie chart templates and examples will help create your presentation quicker. They are the professionally designed templates that you can base your actual presentation on. You maybe like Pie Chart Templates for Word. 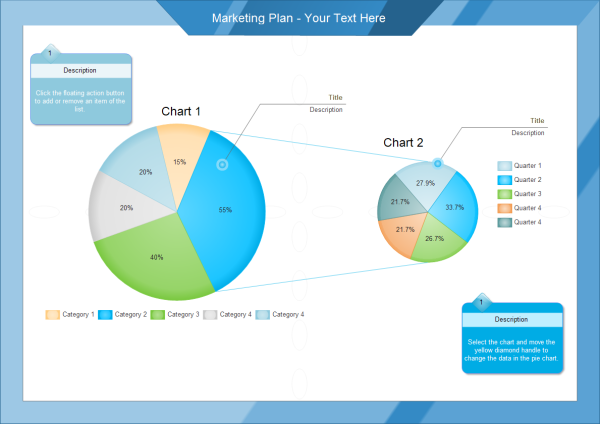 Below the templates offered for free by Edraw is one for creating simple pie chart in PowerPoint. The template works in PowerPoint versions from PowerPoint 2007 on. A simple template for marketing plan. Download Edraw to Create More Pie Chart Templates for PowerPoint. Try Edraw Max FREE.